Barrel, Cylinder Resleeving, Flite Technology, Inc.
Injection barrel worn out but you can't afford to shut the machine down? 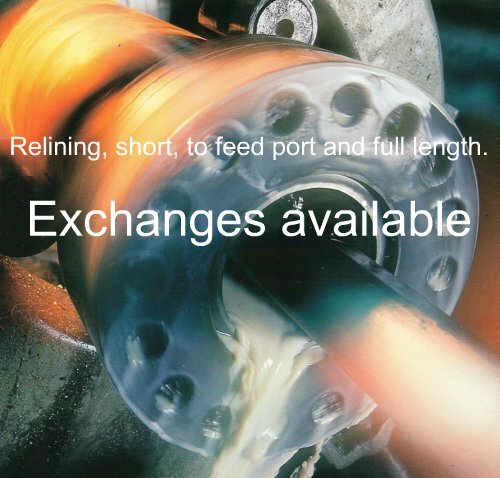 Have us reline one our used trade in barrels while your machine keeps running. In today's marketplace, the world is getting smaller and the competition is getting more intense. Technology improves daily and we at FLITE TECH. utilize only the most up to date and cost efficient technology so that our customers stay competitive into the next millennium. FLITE TECH guarantees Quality, Reliability, and Consistency. FLITE TECH understands that down time occurs when a barrel is in for repair. It is our highest priority to complete your job on time to Industry Standard Specifications so that you can stay profitable. Each barrel is inspected and a profile is created to determine wear and recommended sleeve length repair. This includes precision machining of the Inner Diameter of the barrel to accept your choice of liner material. One the liner material is installed, the barrel is precision honed to specific Original Equipment Manufactured barrel size. The barrel is then remachined to exact measurements to assure proper installation of the end cap and/or nozzles. All thermo couple holes and heater band threaded holes are re-chased to provide trouble free assembly. All workmanship come with a ninety-day warranty.